An expanding body of research supports the importance of early intervention/education for young children with special needs and their families. 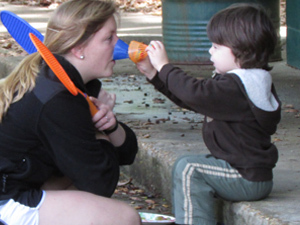 The Communication and Early Childhood Research and Practice Center (CEC-RAP) is designed to promote interdisciplinary contributions to the field of early intervention/education for young children with disabilities, communication disorders, and/or multiple risks. CEC-RAP focuses on the continued expansion of research, personnel preparation, and service delivery through collaboration with interrelated projects. Develop and maintain model programs for research and professional development.